The following are sample clips of Kathie's own arrangements. Each selection is provided in MEDIUM ( 56 KB/Seconds) resolution MP3 files. Should you have difficulty hearing any of the samples, note the suggestions at the bottom of this page. To view a more extensive listing of pieces Kathie performs, please click on "Sample Songlist". Kathie performing "Beauty And The Beast" at Nordstrom while Lead Pianist in Oak Brook. This is a 60 second Windows Media Video. As a "Special Addition" Kathie wanted to share some of her early recorded works, taped while studying classical music as a 17 year old student. 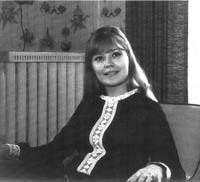 All three movements of the "Moonlight Sonata" were performed (memorized) at her Senior Recital with Beethoven Sonatas and Bach Prelude/Fugues/Two Part Inventions remaining Kathie's favorites throughout her career. may detect some "fuzziness" or faint "conversation" in the background. This was permanent and could not be removed. A Very Popular Piece Among Many Young Students And A Particular Favorite Piece Of Kathie's. A Norwegian Piece Loved By Kathie's Late Father, Lyric Opera Tenor, Kenneth C. Henriksen, Where She Accompanies Him In Rehearsal. Mr. Henriksen Performed In A Great Many Opera Productions in the Chicagoland Area And Was A Personal Friend/Colleague Of Baritone, Sherrill Milnes - Formerly Of The New York Metropolitan Opera Company, Now On The Faculty of Northwestern University In Evanston, Illinois. Mr. Henriksen And Mr. Milnes Also Performed Together For The Downers Grove (Illinois), Oratorio Society Before Mr. Henriksen’s Retirement From The Concert Stage. Are You Having Trouble Downloading The Music? If you experience trouble downloading the music and the audio breaks apart while it first plays, allow the download to continue until the entire segment is done. You should click the link again. It should play without interruption the second time. You can also right click on the link and choose “Save Target As.” This will store a copy on your computer that you can play.